Looking for a place to bed challenged, yet not be a club breaking experience. Quail Heights Country Club is your place to call home. The Quail Heights layout features a mixture of water, sand, and slight elevation change that will ensure you a true view of Florida golf. Each side has a name that gives you a quick taste of what your golfing experience will endure. Creeks – The shortest side at Quail Heights measuring just over 3100 yards from the back tees, the Creeks lives up to its watery name. With water coming into play on over 75% of the holes, the Creeks will truly test your golfing scuba skills. 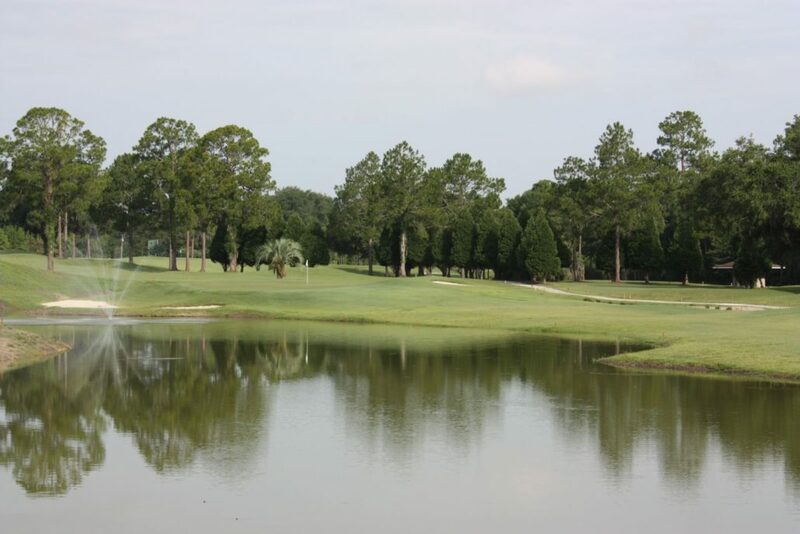 Ponds – With water on almost every hole, the Ponds are a true example of “classic Florida golf.” The locals dub it the favorite layout of all the sides, the Ponds will no doubt cause you to set your next tee time before you leave.